From the world of The Dark Tower comes a picture book about a train engine and his devoted engineer – unmissable for fans of Stephen King’s bestselling series. 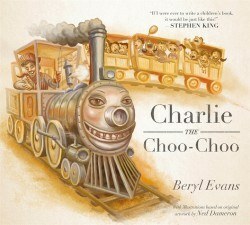 Fans of Stephen King’s bestselling series will recognise Charlie, the Choo-Choo, adapted from a section of his novel The Dark Tower III: The Waste Lands. The piece of art created by Ned Dameron for book three is now the cover image for this picture book.